Hope this finds you well. Thought you might want to see a picture of FLYING W FARMS BARONESS VON BEAUTIFUL DOLL (akaVonnis') Georgian Grande #601 Pony division; This is her first trail ride. The trainer says that she is the easiest horse that she has ever started and that everyone just adores her. Hi Melda, I thought you might want an update on your girl. 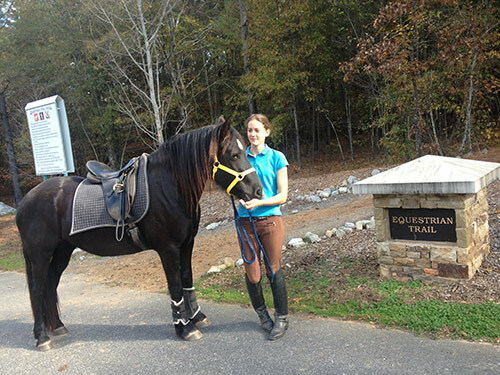 Vonnis completed a four mile trail ride yesterday. She trailer loaded, faced deer, bikers and joggers with ease. We even rode along side a busy road. She just keeps getting better!